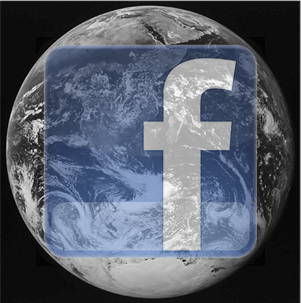 Facebook Places is now a Reality…Will it be without controversy? Another day, another compelling yet controversial Facebook feature. Wednesday evening, Facebook held a small press event to announce Places, its new feature that lets users “check in” to a location in the real world, post content about that place, and let friends find them more easily. On Thursday morning, the massive social network released a major update to Facebook for iPhone that adds the Places feature, more privacy control, and better iOS 4 integration. Facebook Places is slowly rolling out to users in the U.S., and first to users who live in or near major metropolitan areas. Facebook 3.2 for iPhone and iPod touch adds a new Places icon to the app’s main screen, allowing users to check into locations and view their friends’s check-ins. However, even though I live in Chicago, I cannot check in yet, so this seems to be a slow rollout. The new feature will likely need some shakedown time from users, as yet again, it poses new challenges for Facebook users who want to retain some privacy. For example, unlike other popular location-based networks such as Gowalla and Foursquare (which Facebook partnered with for this launch), Facebook Places allows users to check their friends into a place, unless said friends tweak their privacy settings. Another problem is that, while new places users create are private by default, they can become public if enough users check into them. Even if such a place is your house or apartment, Facebook will automatically promote the place to being public after an unspecified number of check-ins. For now, there is no way to prevent your home address from becoming a public location on Facebook aside from asking your friends to not check in at your next party. If a sensitive location becomes public, the only way to attempt to remove it is to flag it for Facebook to review, and ask others to do the same. Moving on from Places, another new Facebook 3.2 feature is a privacy option on status updates that brings the same control from the Website to the iPhone. When posting a new message from your iPhone or iPod touch, you can finally choose between making it public, restricting it to friends, or only posting it for a specific list of people that you’ve created. You can also now view all recipients of a Facebook message in your inbox, and the “pull to refresh” feature popularized by Tweetie, which was bought by Twitter and renamed as Twitter for iPhone, has been sprinkled throughout. For avid media uploaders using iOS 4, the Facebook app finally supports background photo and video uploading. A handful of bug fixes for commenting, notes, and news feed reliability round out this release. If you’re an iPad user waiting for a universal version for iPhone and iPad, I hope you haven’t been holding your breath; this is still just for the iPhone and iPod touch. Facebook 3.2 is available now for free in the App Store, and it requires iOS 3.0 or later.